While colorful furnishings and furniture can make your child’s room look lively, there are other elements that add glow and glamour to it. These elements will never occupy any spaces on the floor or crowd the room in any way. On the contrary, they can give your child the mental space to think, to imagine, and to cheer up. In this article, you will learn how to get some decorations with lighting and ceiling. When selecting lights for your child’s room, you should be aware of his/her needs: usually, studying and doing tasks, getting some entertainment, and sleeping. 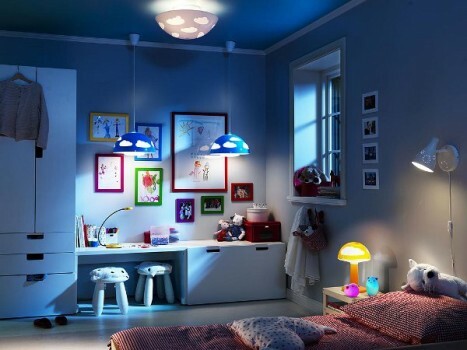 This means that there will be different kinds of lighting in your child’s room that serve different functions, but again all has to be a source of delight and charm for your kids. First, there is the task lighting which should be reasonably bright so as not to strain or dazzle your child’s eye. For this, you can get some wall lamps or table lamps that match your child’s favorite theme. For example, sports-themed lamps can be a good choice for boys while butterfly or baby animal-designed lamps will attract your girl’s attention. In addition, wall sconces are decorative lighting accessories available in many themes like the nursery rhyme Cow over the Moon and animal-shaped wall sconces. 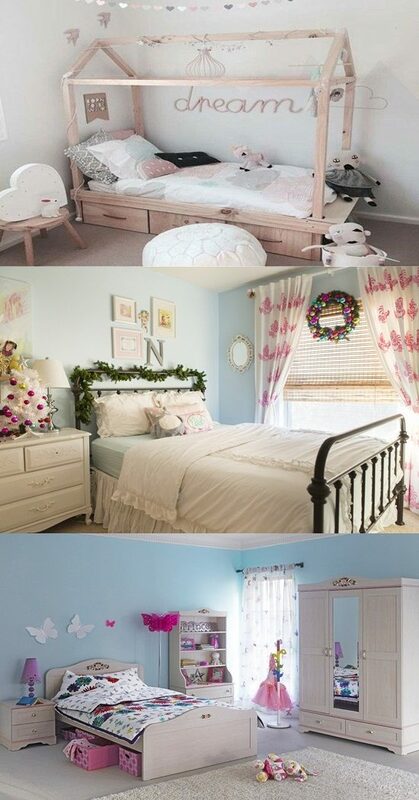 Besides, there is the accent lighting which creates a nice atmosphere for your kids. To illustrate, there are very beautiful, colorful luminaries such as glowing ice luminaries for cold nights, Halloween luminaries, leafy luminaries, or autumnal table lanterns. Then, you can extend the lights to the ceiling to get the overall indoor lighting which parallel lights in adults’ rooms but should reflect your kids’ spirits. For instance, the lovely pendant lighting is a wonderful choice for your kids as it exists in many forms: scales pendant, polka dots pendant, stars pendant, etc. and in many shades of colors: blue, red, orange, purple, etc. You can even go further to get the three-dimensional themed pendants shaped like a cruise ship, the Earth rotating in its orbit, planes, circus clowns, or flowers. Moreover, let the theme of lighting and walls, of course, run through the whole ceiling. For instance, stretch ceilings like a cloudy sky with a Sun pendant or a starry night ceiling with small-star pendants will look very gorgeous.